Emmy Rossum’s Shameless Finale: What Happens to Fiona? 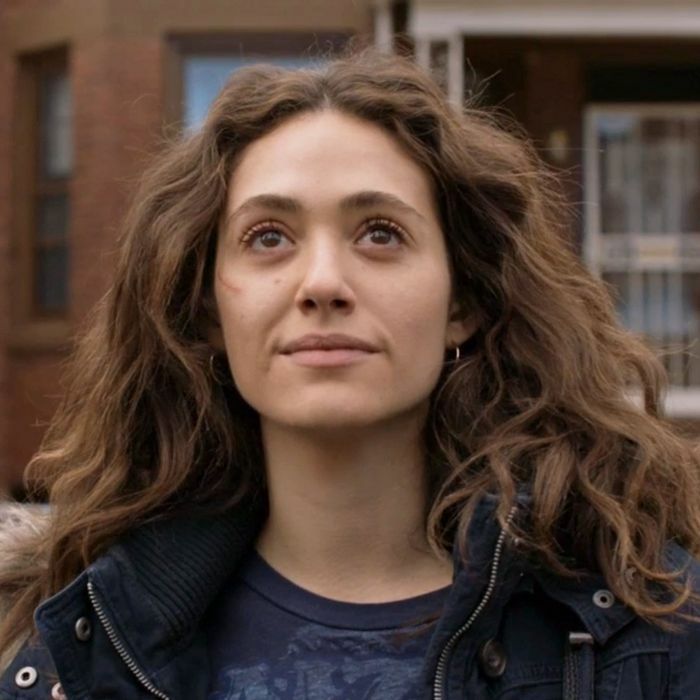 We’ve known since just before Shameless began its ninth season that it would be Emmy Rossum’s last as Fiona Gallagher, the family’s eldest sister turned stand-in matriarch and forever HBIC. Rossum announced last summer that she was departing the series after seven years, and though we’ve had these last several months to drink the pain away Gallagher-style, it’s time to pull ourselves up off whatever derelict floor we’ve woken up on, and stare bleary-eyed at this new Fiona-less world. In Sunday night’s finale, “Found,” Shameless officially gave Fiona a South-Side sendoff for Rossum’s good-bye episode, though it was considerably more tame than expected. Foregoing a big blowout — despite Lip’s best efforts — Fiona Gallagher said sayonara to her family and all of Chicago unceremoniously. All season long, Fiona’s life had backslid spectacularly when one risky financial decision after another in her real-estate hustle failed to pay off, until she finally had a bit of good luck in the penultimate episode. An old business partner, who’d previously pitied (and profited from) her misfortune, ran into Fiona, now reduced to working at a gas station, and informed her that the zoning on an abandoned lot she’d invested in with him had finally cleared. (But would he have told her if not for the random encounter? Hmm.) To buy her out of her share, he offered her $100,000; Fiona didn’t need to be told twice. Fiona doubted she’d make it off the train and to the airport, but it is the defining Gallagher trait to exceed expectation. She winds up on the plane seated next to a little girl — it’s her very first flight, too. Our last apparent view of Fiona comes through Ian’s eyes as he watches a plane fly above the prison yard. Back at the Gallagher house, Debbie discovers Fiona left them $50,000 in a card put on the fridge, with nothing but a simple “love you” note as explanation. Because that’s Fiona: doing it all even when she’s gone.